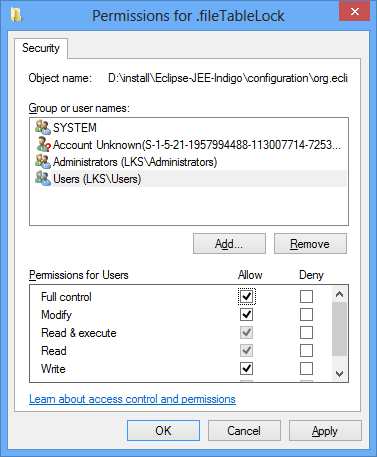 Locking is not possible in the directory “\Eclipse\configuration\org.eclipse.osgi”. A common reason is that the file system or Runtime Environment does not support file locking for that location. Please choose a different location, or disable file locking passing “-Dosgi.locking=none” as a VM argument. Click OK and start the eclipse again.